This bearing is often the cause of a noticeable gear whine in the gear box and should be replaced in any gearbox rebuild. A way you to check yours is to push the clutch in while you are driving. If the noise goes away then its the main shaft bearing. 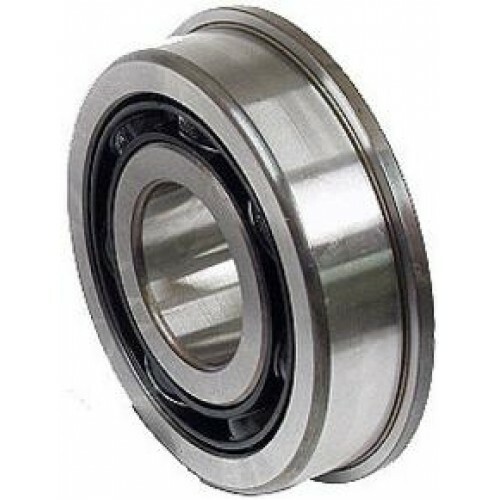 By pushing the clutch in the throw out bearing supports the main shaft quieting the main shaft bearing. This is the Quality FAG bearing we offer, there is also a economy version available here. 62mm OD X 24.8mm ID X 17mm Width a 2mm spacer maybe required as the orginal beaing is 19mm wide.